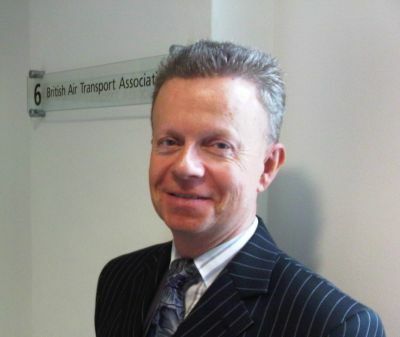 Simon Buck has been Chief Executive of The British Air Transport Association (BATA), the trade association for UK-registered airlines, since July 2010. He began his career in the Department for Transport. After holding various roles both in Westminster and the regions, he served as private secretary to the Minister for Aviation and also within the Department’s Civil Aviation Directorate. Subsequently he joined Air 2000 as External Affairs Manager at Air 2000 and was promoted as Group Head of Industry Affairs at First Choice Holidays plc. Aviation is a key driver of the economy for our island trading nation, representing around 1.5% of the UK economy, providing jobs for a quarter of a million people and transporting most of our manufactured goods by value to countries beyond the EU. Last year, UK airlines carried 122m passengers in 2010 (down from 124m the year before) and directly employed about 74,000 people. Despite the undoubted economic importance of the industry, the Coalition Government has shown little enthusiasm for aviation despite aspiring to boost tourism to, and inward investment in, Britain. From 1 April this year, the Chancellor imposed a double-inflation increase in the tax on flying known as Air Passenger Duty (APD). This means a family of four now pays no less than £260 tax to fly to Florida in Economy Class for example. Five years ago, the tax take on the same journey was just £80. For short haul flying, the tax may now even be greater than the actual fare in some cases. The tax is far higher than in any other EU State and is now so high that the Treasury collected more than twice as much in air passenger taxes in 2011 than all other European countries that levy a tax combined. But this is not just about passengers, who are the ultimate losers from the Chancellor viewing aviation as a “soft touch”. The decision to raise APD from April 2012 onwards also sits at odds with the Government’s wider plans to stimulate economic growth. The Government has been at pains to talk about the importance of increasing overseas spending in the UK. Last November, it announced an additional £39m for VisitBritain to attract overseas visitors. The Prime Minister himself has said he wants to see the UK grow inbound tourism by £2bn over the next four years and increase Chinese tourism fivefold, which he says would "add over half a billion pounds of spending to our economy and…as many as 10,000 new jobs." The UK is badly missing out on Chinese tourism. UK visitor numbers from China have not increased since 2006, even though China has been experiencing annual double digit growth in outbound visitors over this period. The Chair of the Tourism Alliance, Brigid Simmonds OBE, believes that the UK has "lost out on over £1bn of Chinese tourism revenue in the last decade". The effect of the UK's Air Passenger Duty – the highest anywhere in the world – has been a major contributing factor to this. This year’s double-inflation rise of around 8% will have a direct effect on the UK’s inbound tourism: hardly consistent with the Coalition’s plans to attract more visitors to British shores and symptomatic of a lack of joined-up thinking in the Government. Then there is the impact on UK businesses. In his Budget speech earlier this year, the Chancellor said: "We shouldn't price British business out of the world economy” and that “We’ve set as our ambition the goal of giving this country the most competitive tax regime in the G20”. Bizarrely therefore, doing business in the UK became substantially more expensive from April: four businessmen from the US, travelling in the ‘standard’ APD rate (i.e. non-Economy passengers) will now pay a total of £520 in air taxes to return home. Nowhere else in Europe is there anything like the same level of taxation on flying. Why should businesses facing financial pressures choose to come to the UK when the cost of travelling to and from our country is so expensive by comparison with our competitors? Foreign businesses are already being taxed an estimated £300m each year just to do business on British soil and our own companies suffer the additional tax burden just to fly overseas. A Fair Tax on Flying alliance, of which BATA is a member, has long argued aviation should pay its fair share to cover its environmental footprint. But as the Chancellor himself admits, APD is no longer a green tax – it is, in his words, "fundamentally a revenue raising duty". I understand, like anyone else, the acute challenges that the Government faces in balancing the public finances. But it has been wildly inconsistent in applying general principles of policy-making to the specific issue of passenger taxes on flying. Through a Fair Tax on Flying, we are asking the Chancellor to undertake an independent review into the impact of APD on the UK’s economy. Around 100,000 people have emailed their MP supporting the call for a review at www.afairtaxonflying.org After all, it is the Treasury that has extolled the importance of evidence-based policy-making: I hope in this respect, at least, the Government will be more consistent in marrying its intentions with its actions.